Just after signing on with Matthew McConaughey to produce the animated series “Rooster,” Fox has given “Bob’s Burgers” the green light. From the mind of Loren Bouchard, co-creator of “Dr. Katz” and “Home Movies,” “Burgers” is an animated series based on an East Coast family who runs a fast food joint. “One of the great things about telling a story is that (the show) could be a workplace and family comedy at exactly the same moment,” said Bouchard, who originally thought of doing a comedy about a family of cannibals running a restaurant but dropped the cannibalism part. Although “Burgers” will have a similar look and tone to the rest of the comedies from Fox’s Sunday animated block, it will be “a little more urban,” said Bouchard, who spent several years working in bars and restaurants during his 20s. 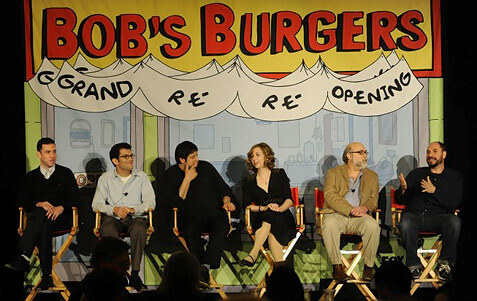 The original voice cast included H. Jon Benjamin as Bob, John Roberts as wife Linda and Kristen Schaal, Eugene Mirman and Dan Mintz as the kids. Fox gave the series a 13-episode order after viewing a 12-minute presentation. It’s unclear whether the cast will return, but Bouchard is optimistic. As am I. “Dr. Katz” is one of my favorite series of all time and Bouchard was an integral part of its success. 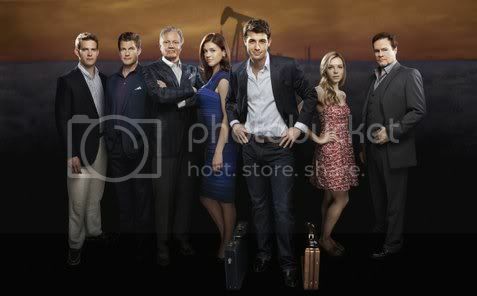 Look for the show to premiere in early 2011.